During his childhood in Southern California, Ian Gindes was first introduced to the world of classical music and the piano by his father, who had studied piano in his youth with Ania Dorfman and Michel Piastro. Ian went on to work with Bonnie Farrer and Errol Haun, both who had studied with the late pedagogue Rosina Lhévinne. Gindes earned a Doctor of Musical Arts in 2011 under the guidance of Ian Hobson at the University of Illinois. 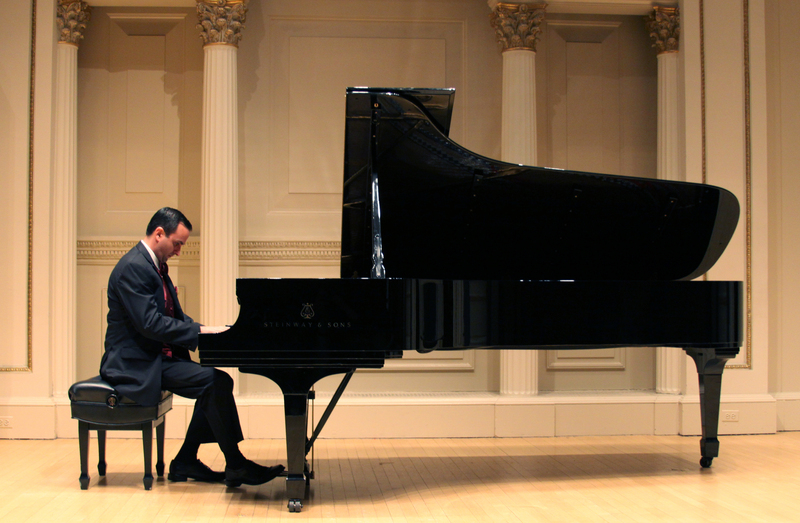 Dr. Gindes has received many awards, including first prize in the 2011 Bradshaw and Buono International Piano Competition, an invitation to perform at the Bradshaw and Buono Festival of Music in 2014, and a CD collection in his name donated to the University of Colorado at Boulder library. This collection is one of largest of its kind in the United States. Gindes’ 2016 recording, American Visions, celebrated the American musical tradition from the 20th century to the present. It included works by Copland and Gershwin as well as by contemporary composers. Gindes’ recording was praised by Gramophone magazine for his “keyboard brilliance.” He received acclaim for his recording from The Whole Note magazine, New York Concert Review, and Fanfare and was a featured artist on Chicago’s own classical music station, WFMT. In the 2018-2019 season, Ian Gindes will be a featured soloist with the Belleville Philharmonic and the St. Louis Philharmonic. He will also give solo recitals in the St. Louis area. His current projects include recording the Rachmaninov Third Piano Concerto with the Janacek Philharmonic Orchestra in the Czech Republic and developing a new video series on YouTube. 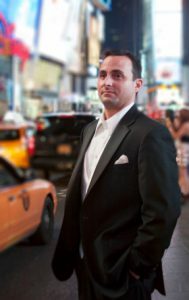 In addition to his performance career, Dr. Gindes continues to share his passion for music via social media and teaching. He serves as a commissioned officer in the U.S. Army National Guard. He and his wife currently reside in Chicago.